(TibetanReview.net, Oct09, 2018) – While the government of Hong Kong would not be forthcoming about its rejection of work visa renewal for the Asia news editor Victor Mallet of the UK’s Financial times newspaper, China’s official Global Times has piped in to explain Oct 7 that Mallet’s actions at the Foreign Correspondents’ Club (FCC) “damaged China’s national security and undermined freedom of expression”. 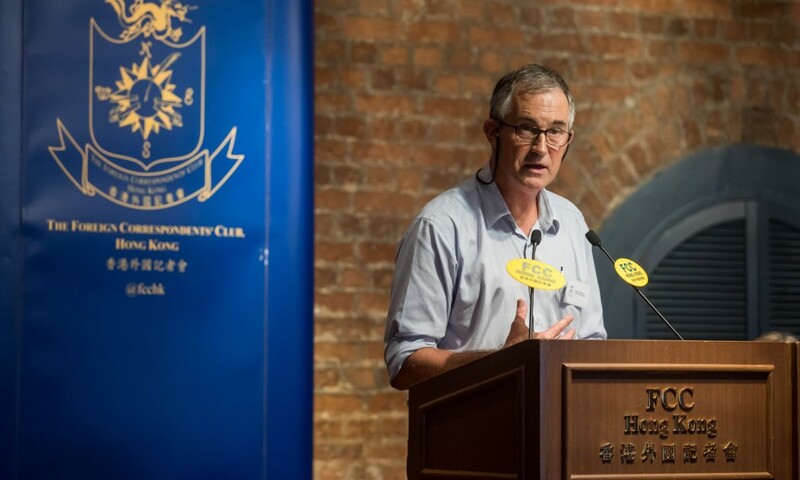 China’s grouse against Mallet is that as the vice-president of Hong Kong’s FCC, he had hosted a talk by the leader of a now-banned pro-Hong Kong independence party, drawing strong criticisms from Beijing. The central government “firmly supports” the local government’s rejection of Asia editor Victor Mallet‘s visa renewal application, independent.co.uk Oct 7 quoted a statement from China’s foreign ministry’s office in Hong Kong. Rights groups have called the visa rejection the latest sign of Beijing’s expanding restrictions on the territory, including legal cases brought against pro-democracy legislators and organisers of large-scale anti-government protests in 2014. Hong Kong was promised semi-autonomy for 50 years as part of its 1997 handover from British rule, allowing it to retain its limited democracy and rights to assembly and free speech which are denied on the Chinese mainland. But the semi-autonomy and the democratic and human rights promises have been keeping on shrinking in recent years. The report said the UK’s Foreign and Commonwealth Office (FCO) had asked for “an urgent explanation” as to why Mr Mallet’s visa renewal application was rejected. “Hong Kong’s high degree of autonomy and its press freedoms are central to its way of life, and must be fully respected,” the FCO was quoted as saying in a statement. The report also cited the US consulate as saying the rejection was “deeply troubling,” especially since it reflected problems faced by international journalists in mainland China whose visas can be held up or refused because of political considerations. The Financial Times has said in a statement that it was given no reason why Mr Mallet’s application was rejected.